Dr. Valley is a health services researcher and practicing pulmonary and critical care physician. His research focuses on identifying patients most likely to benefit from ICU care and improving the way that physicians communicate with family members and patients in the intensive care unit. Dr. Valley is a Clinical Lecturer in the Division of Pulmonary and Critical Care Medicine in the Department of Medicine at the University of Michigan. He received his undergraduate degrees from Emory University and his medical degree from the University of Miami. 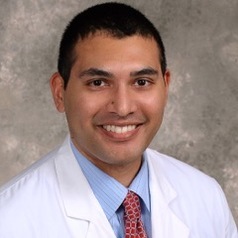 He completed residency training and served as Chief Resident in the Department of Internal Medicine at the University of Texas-Southwestern. Dr. Valley completed fellowship training in Pulmonary and Critical Care and received his Masters in Health and Healthcare Research from the University of Michigan.